We know you’ve sat in your office daydreaming of a way to figure out exactly how much revenue you’ve made from each of your marketing efforts. Perhaps as you dreamt, you were shuffling through pages of spreadsheets and unintelligible data to make your own calculations and draw your own conclusions. 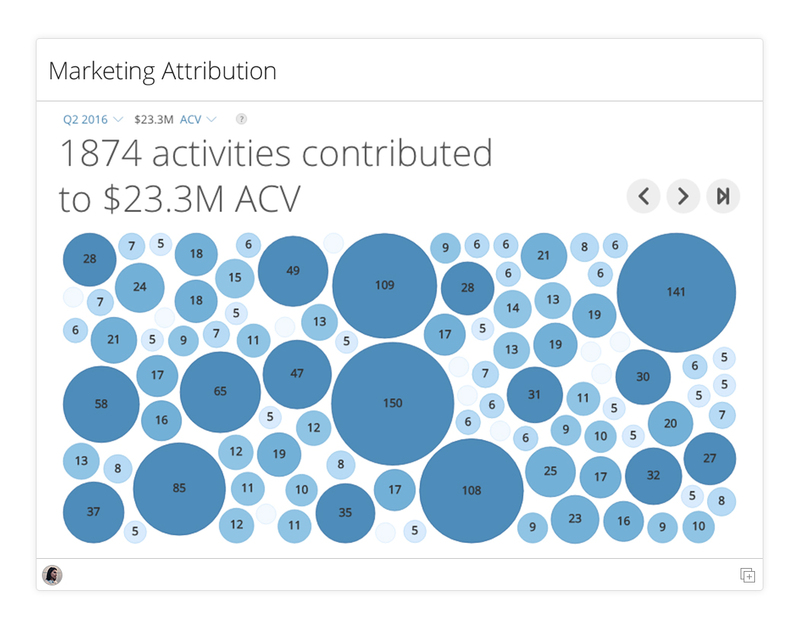 Cue Marketing Attribution, a Domo app that takes out the guesswork by chewing up your marketing performance data and spitting out intuitive, clear-cut insight on how to run your business. Tie your marketing spend directly to your revenue. Whether your marketing efforts are more traditional like television and magazine ads, or you’re conquesting the digi-sphere with tactics like social media ads or email marketing, Marketing Attribution can help pinpoint how much ROI you’re bringing in from each individual touch point of each of your marketing channels. Choose your model and let the app take it from there. First Touch: The first channel gets all the credit for the sale. This isn’t a true reflection of how each channel may have impacted the sale conversion. Last Touch: The last, or converting channel gets all the credit. Each channel’s contribution to the sale isn’t recognized. Linear: All channels are given an equal revenue split. Channel costs or likely engagement in customer conversion aren’t recognized. Position: Recognition is split between the acquiring channel and converting channel. Other channels are split evenly. Time Decay: Channels are given increasing share up to the conversion. The channel that may have acquired the customer isn’t recognized. Based on the model you choose, the app’s algorithms will help determine which of your marketing touch points played the most critical role in converting your client or otherwise gaining revenue. Run your data through different models to see how campaigns perform. Compare models for well-rounded insight. If you don’t know which model best represents your industry or campaign, or you’d like to see the “bigger picture” a bit clearer, you can run a Model Comparison. The Model Comparison functionality will show you how the campaign performs across each of the five models. If you find strong performance across the board, it’s a heavily weighted vote in favor of that campaign’s profitability for your company. 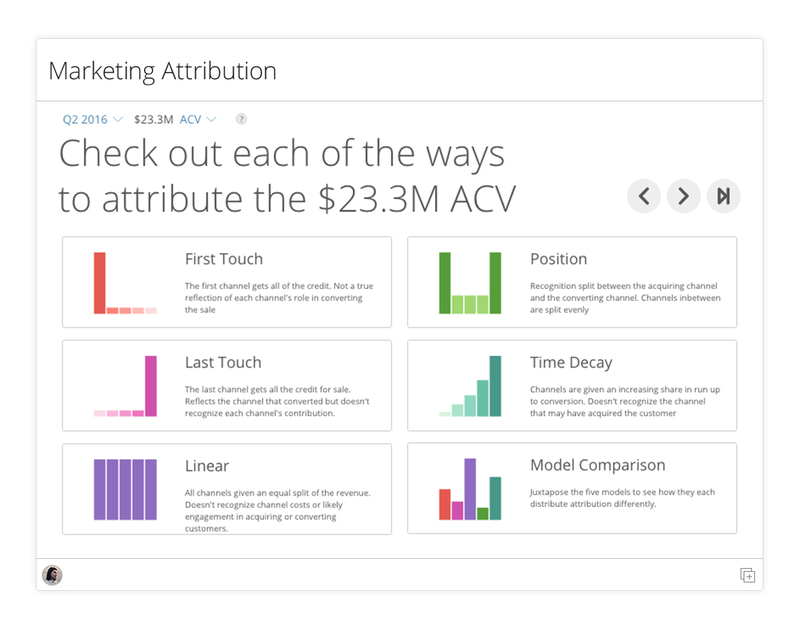 Domo’s Marketing Attribution app puts an end to your longing while putting some serious business intelligence—and serious ROI—into your pocket. If you’re headed to Shop.org, stop by booth #9023 and we’ll show you how it works in person.